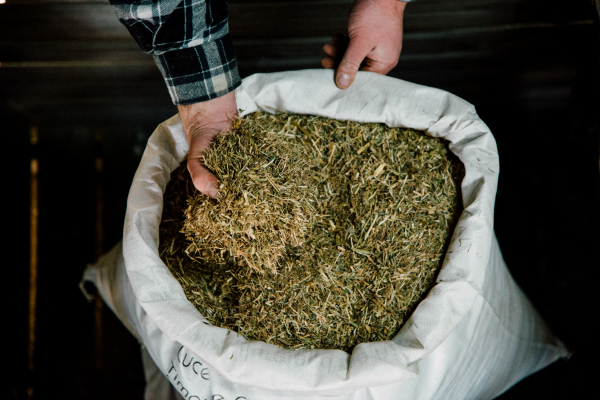 Our Meadow Hay Chaff is made with some of the best meadow hay available in Canterbury. With a high leaf content, our age old methodology to minimise rogue weeds with our dust extraction system, Future Feeds Meadow Hay Chaff provides the best value. Call 0800 200 399 or 0212408053 toll-free between 6.00am and 6.00pm to talk to one of our team. We can deliver in the Canterbury Area, or can arrange freight to North and South Island destinations. You are welcome to pick up from our yard at 188 Carters Rd, Lincoln, Christchurch, by arrangement. To prevent any possible respiratory problems. The chaff is cut at the optimum time to retain the highest nutritional value. © 2018 Future Feeds - All Rights Reserved.